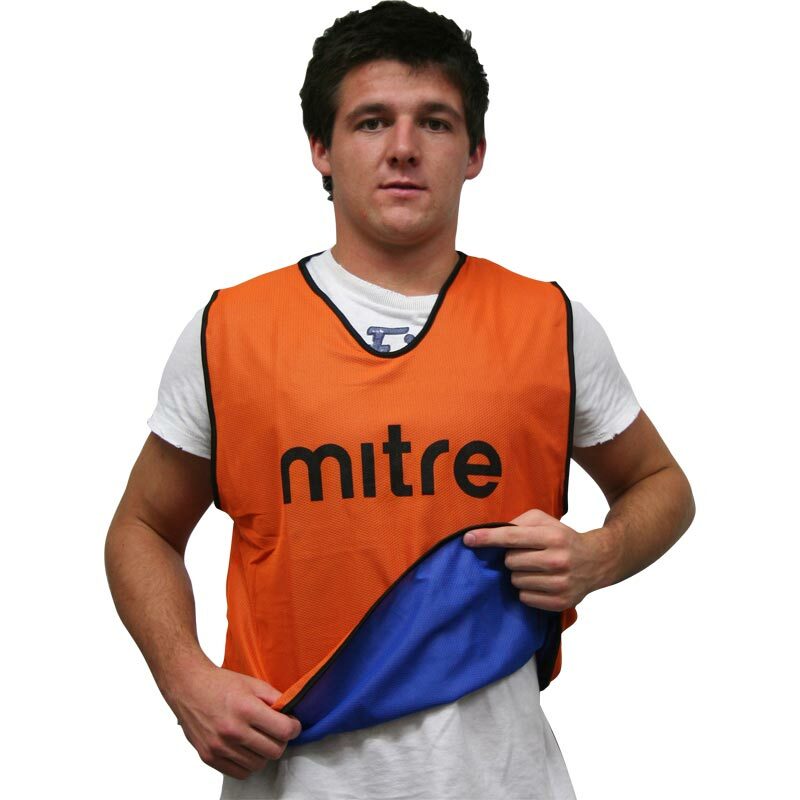 Mitre ® Soccer Pro Training Reversible Bib are great value as they are effectively two bibs for the price of one. Pro level bib made of 100% polyester micro mesh to give light weight and breathable performance. Fully reversible to enable easier team changes. Printed Mitre logo across centre chest. There is an issue with the tag on the bibs corresponding with the size label on the packaging. The information we provide on the size guide above is from our own measurements of stock and is intended as guide only. NB: the information given is intended as a guide only. There is an issue with the tag on the bibs corresponding with the size label on the packaging. The information we provide is from our own measurements of stock and is intended as guide only. Very good buy. Great quality and reversiblity means they more useful that the othe bibs on the market. Best design ever, I have used these bibs for about 10 years now and they are still going strong, great idea as you can adapt drills to suit by changing the players role. Would never buy anything else. Medium size suits secondary school boys. Easy to deal with, no fuss, delivered quickly with great packaging, Couldn't ask for more. Highly recommend Newitts for sporting goods. These bibs are well made with well stitched seams and seem to be standing up well to regular use. The S/Mens size is good for the age group I coach (12 to 16 year olds), older kids would need the adult size. Having the two colours is so useful for small sided games where you need three identifiable teams. Great bibs as they say 2 colours in one (reversible) so easy to change team players in seconds. The team love them and commented how warm they are in this cold weather at present Yes I would recommend these bibs you can feel the quality of the material and will last a long time. A great purchase.. I have been looking for a reversible bib for a while now to assist in training a social local football team. the idea of having one set of training bibs which could be reversed really appealed to me. 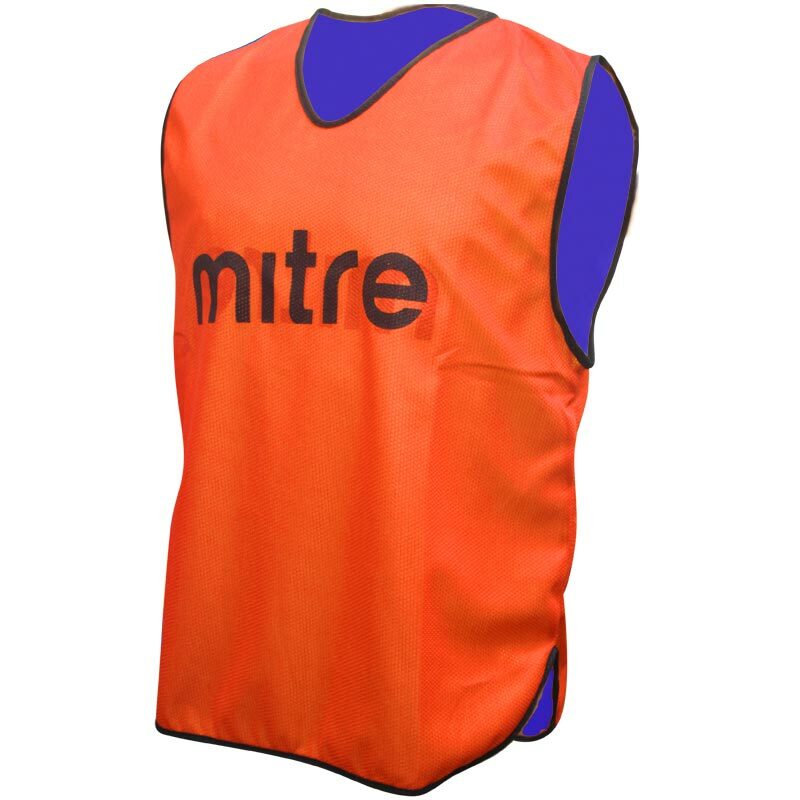 Having used a set of mitre bibs before I was comfortable buying these online as I knew they would be good quality. The only negative would be that they are a little heavy that the last bibs we used as they are a double mesh layer, some players would complain about wearing them on hot days. Great product far more durable than cheap mesh bibs , well made and makes switching players around a breeze !